Peru got the better of Bolivia in the quarter final match where. Jose Paolo Guerrero scored a hattrick to get Peru in the semifinals where they will face free scoring hosts Chile. This quarterfinal was suppose to be alot more tighter than it turned out to be, but two quick goals in 21st and 23rd minute from Guerrero for Peru put the game pretty much to bed in the first half. 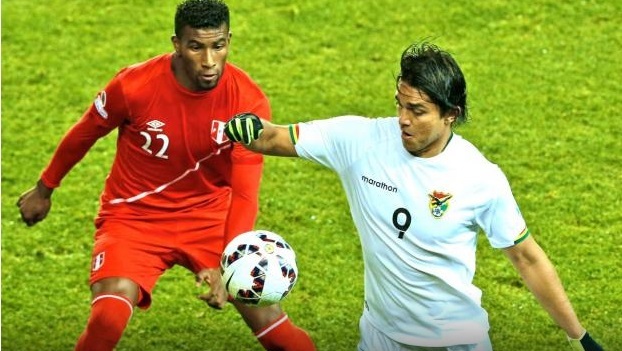 Guerrero was on target again in second halfs 75th minute to make it 3-0 before Moreno scored what turned out to be just an cancellation goal for Bolivia. Second quarter final of the 2015 Copa America will be taking place on Thursday, 25 June at Estadio Municipal in Temuco between group a runner ups Bolivia and group c runner ups Peru. The winner of this match will face Uruguay or hosts Chile in the semifinals. Bolivia are coming into this game on the back of a 5-0 drubbing they sufferend in their last group game against Chile while Peru managed to hold out Colombia to a 0-0 draw which was enough to seal their place in the knockout stages. Peru will fany their chances against a team who many believed will have no chance of qualification to next round but Bolivia proved against all odds not only to qualify but held their own apart from thier last outing against Chile. Their entertaining 3-2 win against Ecuador proved to be massive result which helped their qualification to the next round. Peru on the other hand are a team who is hard to breakdown and they make life difficult for their opposition going forward. They started the campaign with a 2-1 defeat in stoppage time against Brazil but a win against Venezuela and a 0-0 draw followed against Colombia book their place in the quarter finals against Bolivia. 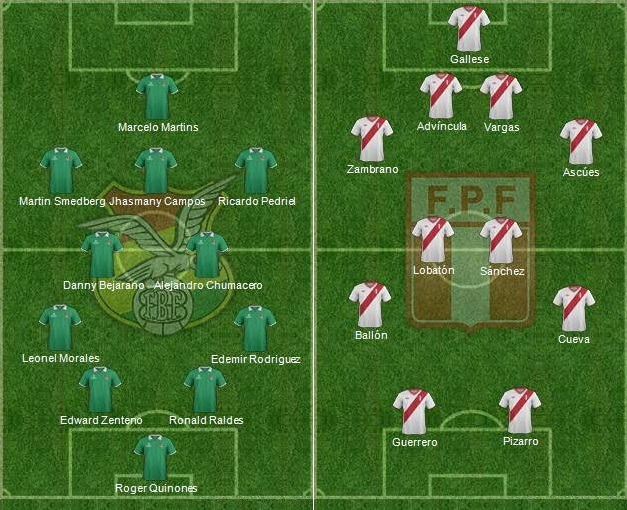 Peru Team News: Jefferson Farfan is expected to start alongside Claudio Pizzaro while Christian Cueva and Carlos Lobaton should keep their place in the starting lineup playing it attacking midfield roles. Bolivia Team News: Bolivia coach made quite a few changes in the game against Chile which did not turnout to be a good decision and we can expect the likes of Hurtado, Zenteno and Bejarano to slot right back in the starting lineup. This is how I expect both teams to lineup for their all important quarter final tie. Match Predictions: I think Bolivia should be proud of their Copa America campaign but their inability to cope with the pressure was outlined by Chile and Peru will have enough in their armour to see of the challenge from La Verde who has not won a single competitive away fixture in last 20 years. I am going wit ha 2-0 win for Peru in this one. 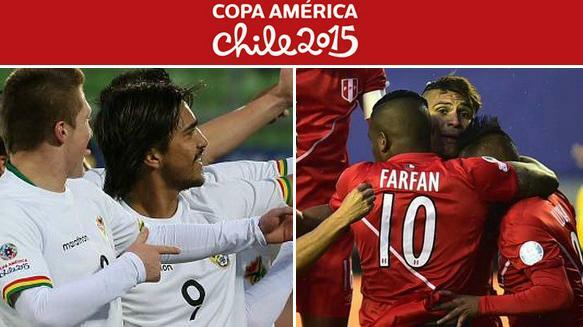 Join us for the coverage of every copa america game live here.